WalletHub is the first and only app to offer 100% free credit scores and full credit reports updated daily. Plus, get personalized tips for how to save money and improve your credit score. Download this award-winning app and reach top WalletFitness®. Q: Is WalletHub Really Free? A: Yes, it’s 100% free, and we’ll never even ask you for a credit card number. Q: Will Using WalletHub Hurt My Credit? A: Not at all. It’s only a “soft” inquiry when you check your latest credit report and score through WalletHub. So WalletHub may only help your credit as a result. A: While there are a number of places to get a free credit score and free credit report (or at least a free trial) – from Credit Karma to Capital One’s Credit Wise – WalletHub is the only free credit score app to offer daily updates and a clear action plan. We’ll also give you personalized credit-improvement tips and help you maximize your savings as well as minimize your debt. Q: How Will WalletHub Save Me Money? A: Whether you have excellent credit or bad credit, WalletHub will automatically hunt for better deals so you’ll never get taken advantage of. And if your credit isn’t perfect, we’ll also help you improve it, enabling you to save thousands each year on your credit cards, mortgage, auto loan, student loan, car insurance and more. A strong credit rating will help indirectly with potential employers and landlords, too. Q: Can WalletHub Help Me Improve My Credit? A: WalletHub analyzes your latest credit score and report to identify your credit strengths and weaknesses. We then run a number of simulations to determine how different actions will impact your credit standing. Finally, we present you with a customized credit-improvement plan, along with a comprehensive credit scorecard. You can check it out on your account’s Credit Analysis page. As your credit score improves, WalletHub will also give you personalized tips about which credit cards offer the highest approval odds and the most savings. Q: How Does 24/7 Credit Monitoring Work? A: WalletHub’s free credit monitoring keeps round-the-clock watch on your TransUnion credit report and will notify you whenever there is an important change. In addition to email alerts, you can also customize your WalletHub account to receive SMS alerts, which most credit monitoring services don’t provide. This will give you the chance to quickly confirm the accuracy of credit-report changes and, if necessary, start sorting out any problems before they really get out of hand. “Awesome - better than CreditKarma!” - Eric L.
“I truly do love this app and I will never, ever use another one. Thanks WalletHub!” - Tracy C.
“Very handy and useful! I use it a lot!” – Barbara B. “I do a quick credit check on WalletHub every day. I just love to see if my credit score has changed and learn from their credit experts. It’s my new financial advisor and credit tracker all in one.” – Sean C.
“Wallet Hub guided me through the credit repair process, helping me rebuild from very bad credit to pretty good credit that’s on its way to being in mint condition. Considering all the money I’ve saved with this free personal finance app, it’s an unbelievable value.” – Danielle B. “If you need credit help, turn to WalletHub. They know their stuff and will save you money, whether you want to build credit, rebuild credit or perfect your rating.” – Kurtis M.
We're constantly working to make WalletHub better for you. In this release, we've included a number of improvements, bug fixes and new features. Please email us your feedback at help@wallethub.com. We're listening! Is to the credit bureaus. How can credit scores be updated every week. You don’t even have time to take stuff out of the bag that you might have purchased before your rating out credit Make me absolutely insane. This comment too will fall on deaf ears and end up in the junk pile. Nothing will be resolved It’s a pity that companies like yours are able to control so much. How does a persons credit score go down 123 points in one week after paying 95% of their debt off. That just doesn’t add up. There was a mistake but if anyone acknowledges it they will blame a computer issue. Thanks for your feedback. Paying off or closing down an account will generally lower your score, since your credit utilization ratio tends to get worse. With that said, you can easily see the reasons behind the drop, right on your Dashboard. Just press the "Why did my score change?" button next to your score. It can seem complicated to manage and improve your credit score, but we’re here to help! Please let us know if you still have questions after following the steps above. Now that I’m older and times are changing I started to think about my credit. I mean before I just paid for everything with cash. If I couldn’t afford it with cash then I didn’t need it or I would save up. Now you can’t get anywhere or anything without good credit. So instead of paying someone to help me fix my credit I downloaded this app and I promise if you just do what the app asks of you, you will fix your credit. Example, someone had activated a credit card in my name years ago and all I had to do was push a button and a couple weeks later it was removed from my records. How awesome! Now I’m proud of my credit score I’ll let you in on a little secret, this app is a little addicting. Once you pass one step your ready to take Next step and then the next. 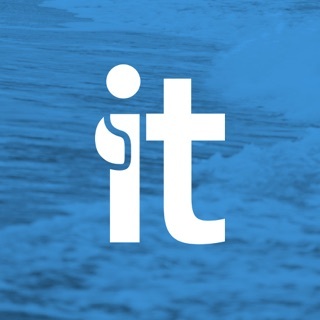 Download the app it will change your life. We all deserve a little help and a better life and this is all the help you’ll need. I love this app! I cannot speak to the accuracy of the score when it comes to how different lenders will grade you, but at the very least you get an understanding of your strengths and weaknesses. For me, I have been battling to get my credit utilization under control, which I would have not thought about until using this app. The report analysis gives you enough corrective suggestion, if you receive a low grade, to develop a plan to course correct your credit behaviors. Not to mention there are alerts that describe when items added, or removed, as well as, credit limit changes. This is better than checking your credit report annually, which is still something you want to obtain so you can see your payment history and other pertinent data related to your credit file. Again, I love this app!!!! Thank you for your feedback! We'd love to keep you updated with our newest features before we release them to the public. If you're interested, please email us at vip@wallethub.com.